Results of this week's Q1 2015 Total Audience Report from Nielsen confirm what advertisers have known for years – radio's reach among mass media is unsurpassed. According to the study, radio tops all other media with a total weekly audience of 222,921,000 listeners age 18+. Each week, radio reaches 93% of all adults 18+, including 93% of those 18-34, 95% of 35-49-year-olds and 91% of 50+ consumers. Radio’s weekly reach among all adults eclipses that of television (87%), smartphones (70%), social networks on smartphones (61%), PCs (54%) and smartphone video (37%). Among 18-34-year-olds, radio owns a notable weekly reach advantage over television – 93% to 76%. In this same age bracket, radio’s number of days per week of usage (5.0) trails only smartphones (5.9) and remains ahead of television (4.7), tablets (4.6) and PCs (3.6). The report also shows that radio enjoys the most consistent number of minutes used weekly across all age groups versus TV, PCs, smartphones and tablets. Each week, American adults listen to radio an average of 12 hours and 58 minutes, and 2 hours and 42 minutes per day. Both figures are second only to television. Radio also continues to maintain its popularity among Black and Hispanic audiences, with weekly listening totals of 13 hours and 29 minutes for Black adults and 13 hours and 38 minutes for Hispanics. 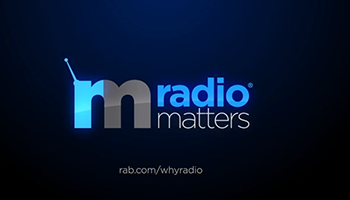 "Without any doubt this report proves Radio is America’s number one reach medium," noted Erica Farber, president and CEO of the Radio Advertising Bureau. "And despite the upward growth of smartphones, Radio remains the platform with the greatest reach. The data contained within the report reinforces our message to the advertising community that Radio is alive and well in reaching consumers – regardless of age, gender or ethnicity."